Healthy Looking Skin: the new anti-aging claim! A performance clinical study, to support “healthy looking skin” claims, is designed based on several test parameters, customized to your specific formulation. 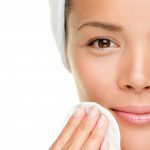 Home Blog Healthy Looking Skin: the new anti-aging claim!